OneCNC incorporates a smart plane tool, which allows the construction plane to be set at any position. This really makes 3D modelling simple as well as simplifying the setting of the CAM faces and angles. 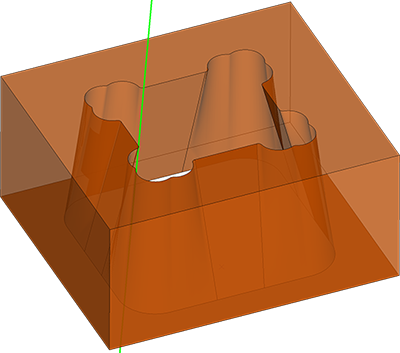 With unparalleled ease of use and uncomplicated approach to cut path generation, it’s the only software you’ll need for2 axis or 4 axis machining. 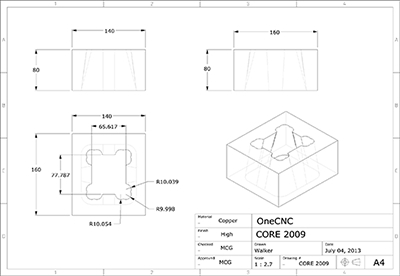 OneCNC provides a universal EDM 2 axis profiling cycle to machine any profile shape for, die, core, cavity, shape parts. 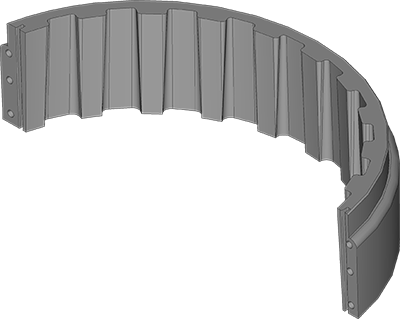 This versatile machining cycle supports any number of straight or tapered rough and skim cuts while optimizing wire-cutting paths. 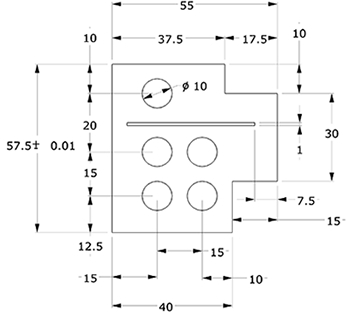 Strategies for all types of EDM machining such as punch or die and combination of multi-cavity parts for and unattended machining are included. Between cuts OneCNC can automatically handle the necessary wire-cut and wire-thread instructions, and the various part-handling functions of the machine including flushing, tank fill, and tank drain operations. 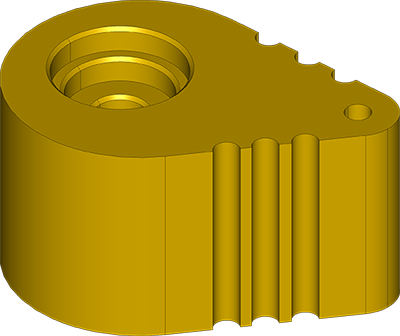 Quickly program parts with complex tapers or completely independent freeform shapes, top and bottom, with OneCNC XY lower and UV upper 4-axis contouring cycle functionality. 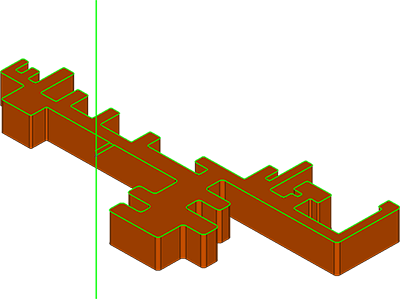 Select the upper and the lower profiles and the 4-axis cutting process is automatically synchronized and if they are odd numbered in entities you can add an unlimited number of additional synchronization or restriction lines. 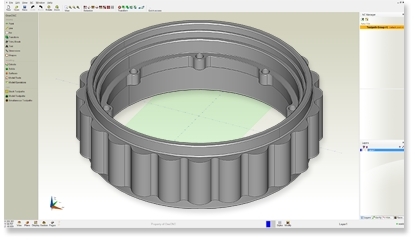 OneCNC adds glue gaps automatically and creates skim cuts for unattended machining. OneCNC handles the automatic cutting and threading of the EDM wire to ensure unattended machining. Handling core slugs efficiently during EDM machining becomes more difficult with smaller part size. OneCNC provides a special EDM no-core hole or pocket shape machining functions to wire erode away all the material inside a given cavity without creating a slug. With no-core cutting, a start hole is drilled into the part and OneCNC recognizes and automatically machines the slug, preventing wire breakage and minimizing machining time. OneCNC CAD/CAM Wire EDM Expert is a complete standalone design and manufacturing solution designed for the Wire EDM machine. This is the premium version of OneCNC CAD/CAM Wire to Design engineering components, tool design, modelling for CNC manufacture all in one easy-to-use program. Whatever your starting point from an idea concept, design sketch, customer data, scanned image OneCNC CAD/CAM Wire EDM Expert will help you make it possible. Designed for the tool making CNC environment with functionality to provide Wire EDM single or multiple part cutting of high quality mould components. Provides efficient 2 Axis and 4 Axis paths with excellent control over the passes and styles of cutting. Does not require a major investment in learning because a user would be successfully cutting parts on day one. First class accuracy is assured providing excellent surface finish quality required with Wire EDM finishing. Here is a simple list containing many of the features that the various OneCNC Wire EDM products provide.